Big announcement from our sister festival at Burl’s Creek. Big Sky Music Festival just dropped their full lineup and it’s fire! 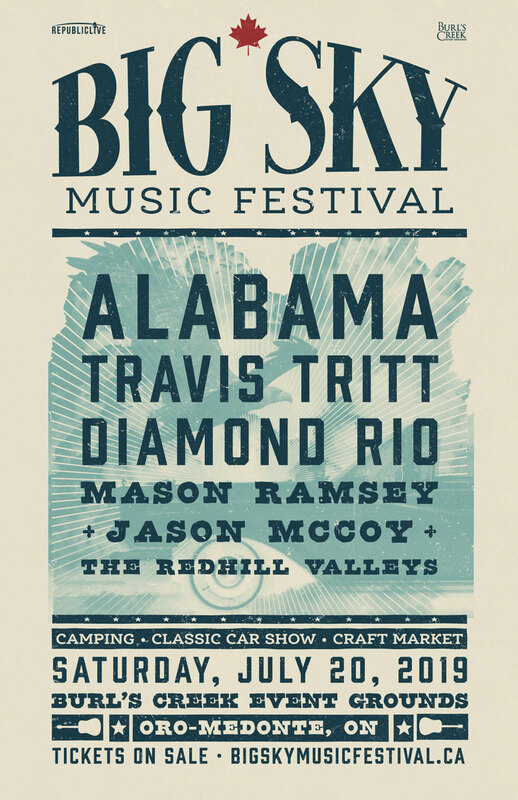 New additions Mason Ramsey, Jason McCoy and The Redhill Valleys will join Alabama, Travis Tritt and Diamond Rio, July 20th at Big Sky Music Festival 2019. It’s back to the classics this summer at #BigSkyFestival! Head on over to their website for more information and to grab your tickets.